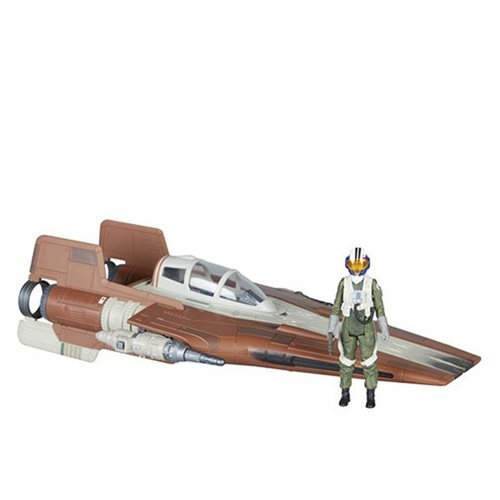 Exclusive Star Wars Resistance A-Wing fighter! 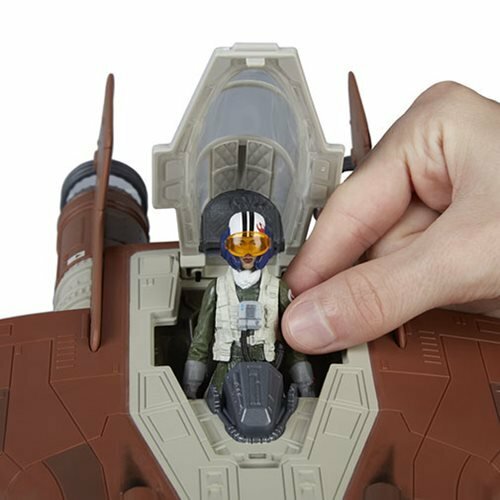 Load the included pilot figure and fire the rockets! Activate battle and flying sounds with your Force Link 2.0 band! You control the Star Wars action! 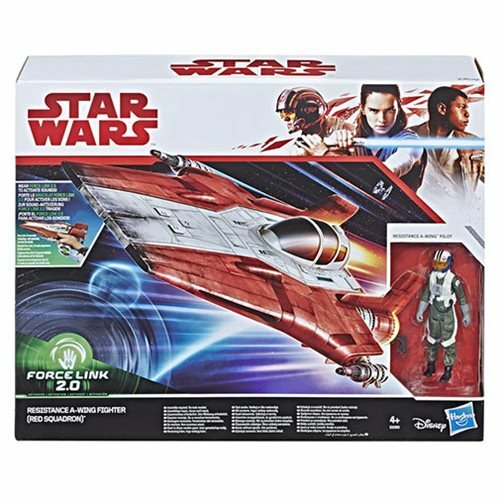 Check out this sensational Star Wars Force Link Resistance A-Wing Fighter - Exclusive from Hasbro. You can activate battle and flying sound effects with your Force Link 2.0 band (sold separately), and the rockets really fire when you activate the buttons on the side of the ship. The vehicle features projectile-firing capacities, so when you load the included projectiles, you can fire away! Also, when you pick up the Resistance Pilot figure, you're able to activate authentic phrases and sounds. 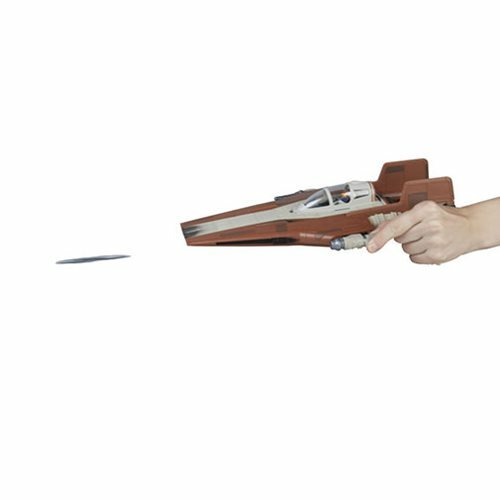 The cockpit opens to load the figure, and with Force Link 2.0, you or your kids control the Star Wars action. May the Force be with you! 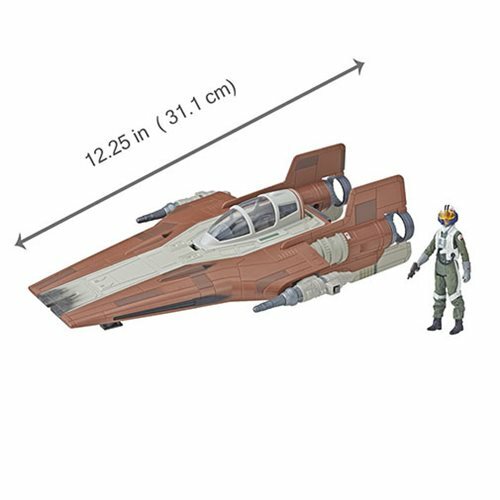 Vehicle, figure, accessory, 2 projectiles, and instructions included.